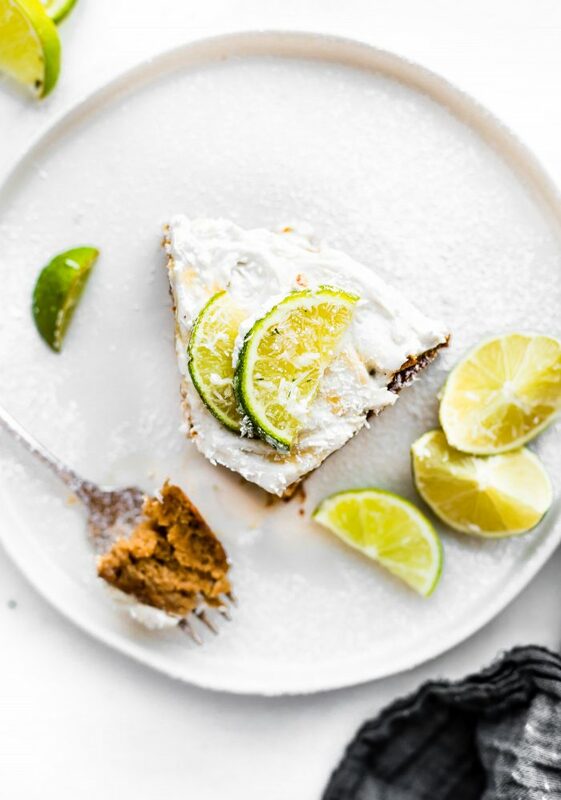 This lemon lime coconut vegan cake is gluten free, easy to make, and topped with fluffy whipped coconut cream frosting. 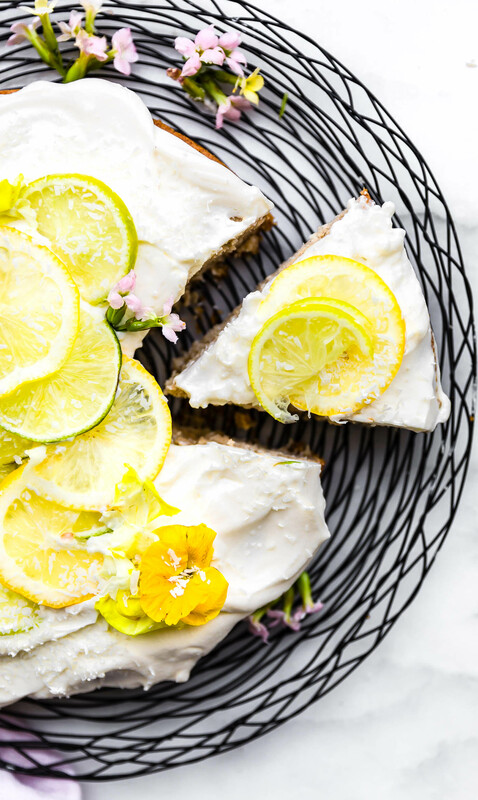 A citrus flavored frosted vegan cake that’s perfect for Any season. So simple to make! All you need are a few ingredients to bake this cake in under 45 minutes. PRAISE THE LORD it kinda feels like Spring! And yes, that means we breeze on into the week feeling light and zesty. Right? 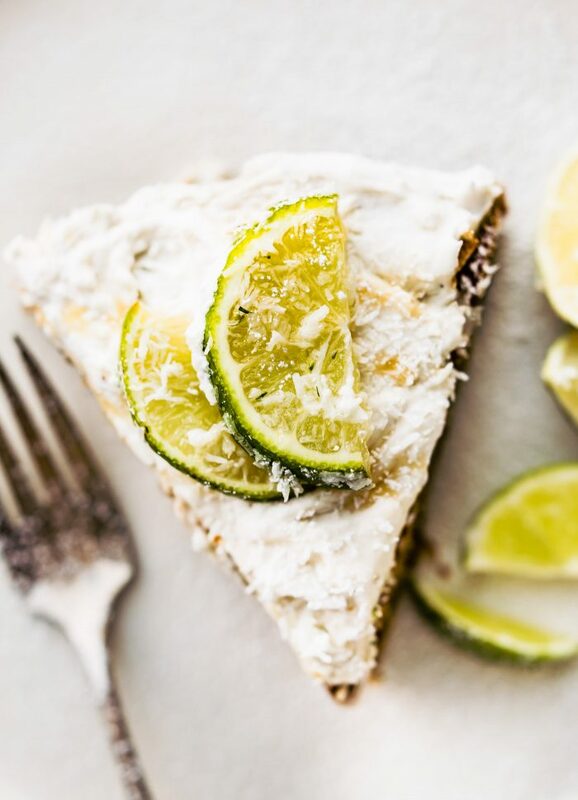 Light and refreshed as this coconut lemon lime vegan cake… errr or something like that. Mmm k? But in all seriousness ya’ll, this last week has been cloudy with a chance of meatballs and I’m certain that we all deserve a day a tropical vacation. Well, I can’t offer a tropical vacation, but I can channel my inner hula girl and serve us up a slice piece of this vegan cake. You know I used to live in Hawaii, yes? That’s a story for another day. Unless you want to search the Cotter Crunch archives, gasp! But I digress… where was I? Hmmm… tropical warm thoughts and a slice of cake. 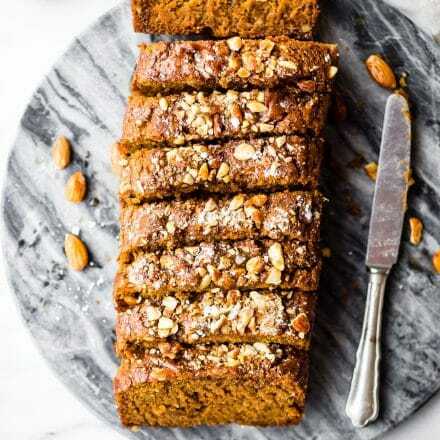 Are you ready to feel light, refreshed, and bake up this goodness? It’s kinda sorta perfect for Easter ( I may be bias). First, we gotta make the icing. 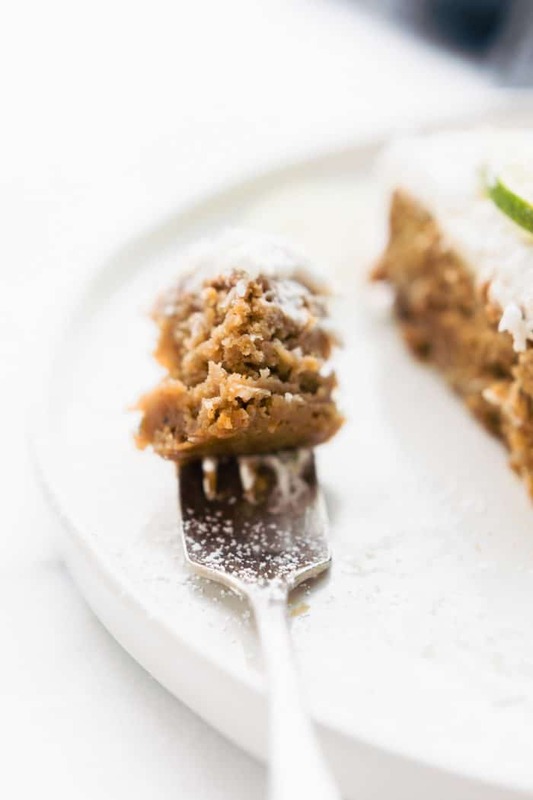 It’s similar whipped frosting to this classic paleo/vegan cake recipe, but with citrus and coconut flavors. If we are lucky and have a little leftover we can put in our coffee. It really is so simple and all you need it a can COLD coconut cream. Extra sweetener if you’d like. Then Whip it, whip good! See what I did there. Haha! Next comes this SUPER EASY 3 step approach to making this vegan cake. I’m really into 3 step recipes these days, can’t you tell? We’re all busy, we need simplicity. I get it. Moving on. Cake… the ingredients. Gluten Free Flour Mix. I used Bob’s Red Mill’s Gluten Free 1:1 Ratio because it ROCKS! Then we just need a little lemon, a little lime, coconut, agave nectar (or maple syrup), melted coconut oil, and baking soda. 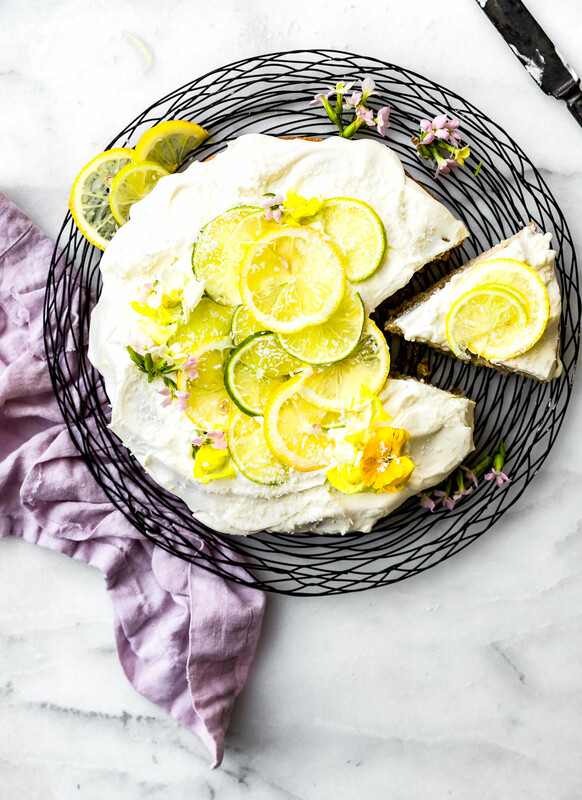 The key to making this vegan cake so AMAZING is in fact that Lemon Lime combo. Yep, that’s the whole trick to making it FLUFFY without an egg. An acid-base reaction WONDERS y’all! In luckily, for us, lemon lime is the best naturally acidic ingredient you can use. The science/nutrition geek in me just has way too much fun making it. Really! My mission is to not only create a super simple, healthy, gluten free vegan cake, but also to make it FUN! Alright friends, I think I’m one too many tangents past my limit for a Monday. Let’s get to the real focus. THE RECIPE! 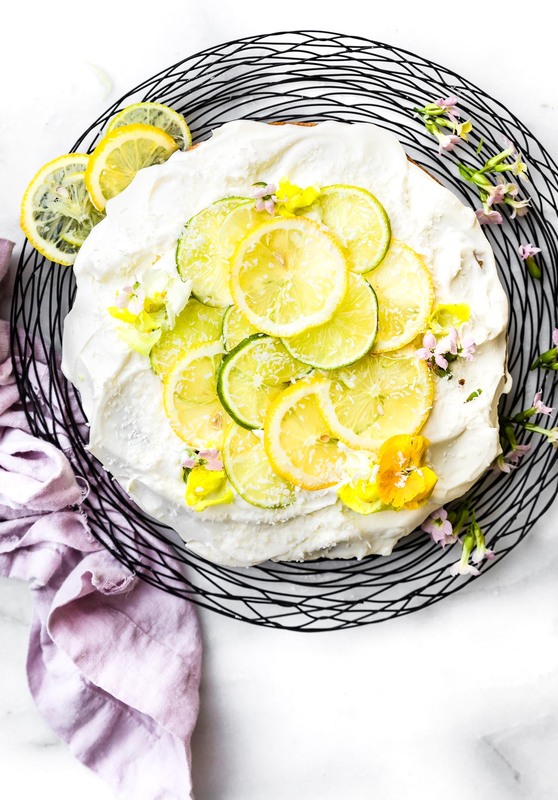 A citrus flavored gluten free vegan cake that’s perfect for Any season. So simple to make! All you need are a few ingredients to bake this cake in under 45 minutes. SPECIAL NOTE – > Before you bake the cake and if you are making coconut frosting with this, first place 2-3 cans of coconut cream in back of fridge for 24 hrs. You only need one, but I place 3 just in case one doesn’t harden. preheat oven to 350. 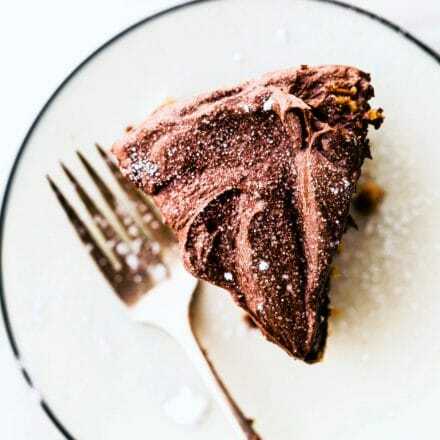 Grease a cake pan or 8×8 baking dish. Mix all your dry ingredients together in a bowl (the baking soda, flour, sugar, salt). In another bowl, mix your water, agave nectar, coconut oil, lime juice, and extracts. Combine your wet to your dry ingredients and SLOWLY mix. Fold in your shredded coconut. DO NOT OVERMIX. Bake 350F for 35-45 minutes or until golden brown. Some baking mixes and ovens might take closer to 50+ minutes. Check progress at 35 minutes by inserting toothpick or knife in center until in comes out clean. Make sure your coconut cream can (10oz) is chilled 24 hrs and you have coconut cream not milk. Once chilled pour the hardened cream mixture into a bowl. 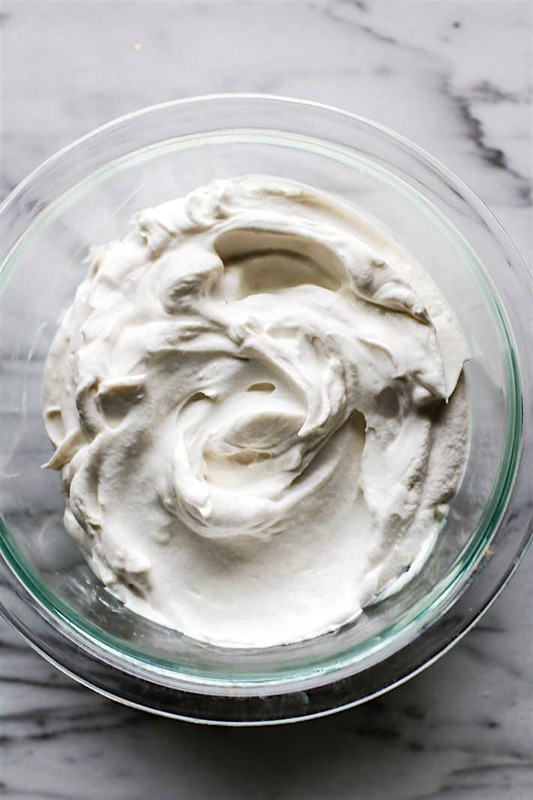 Add your sugar and vanilla beat until fluffy and smooth. Mix in your coconut last. Keep cool until ready to frost your cake. Frost your cooled cake and add lime zest on top if desired. nutrition shown for recipe made with xylitol versus cane sugar. See this recipe for Paleo option. If you don’t have a gluten free flour mix, try using a boxed gluten free cake mix and reduce the sugar in the recipe by half. This has worked well before but not all cake mix is made the same. I would advise to test one first. Reduce cooking time if needed. 35-45 minutes. I really have no other words except the fact that you need this in your life. And it will take all of 45 minutes or less to make. Yes, for a gluten free vegan cake. 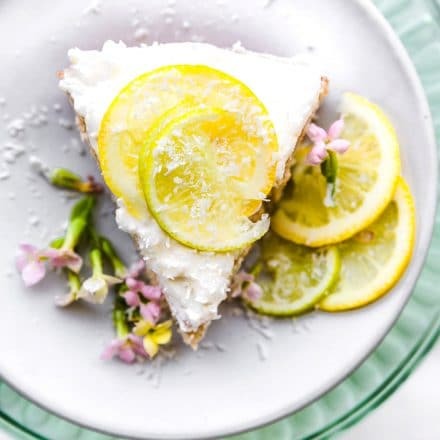 Not only is this citrus coconut vegan cake light and gluten free, but it also has a lower sugar and nut free (in honor of allergy awareness week). See, that just means you can have your cake and eat it (a slice) too! Don’t worry, I saved you a piece. I know, I am to please. What’s your favorite springtime or summer cake? Coconut for me, hands down! Anyone else have a favorite vegan cake recipe. I always need more. Share.. Pretty please. I feel like you should call this a margarita cake. NOMS. should i add some tequila? I’m a cake lover, and this is calling my name! I could face-plant in that frosting!!! Have fun in CA! This cake I’m pinning for a special occasion because info make it, I will devour it all! i shared with my family. THANK GOD! oh lindsay you’ve done it again, just like always!! On my way! We will celebrate BIG! wonderful! 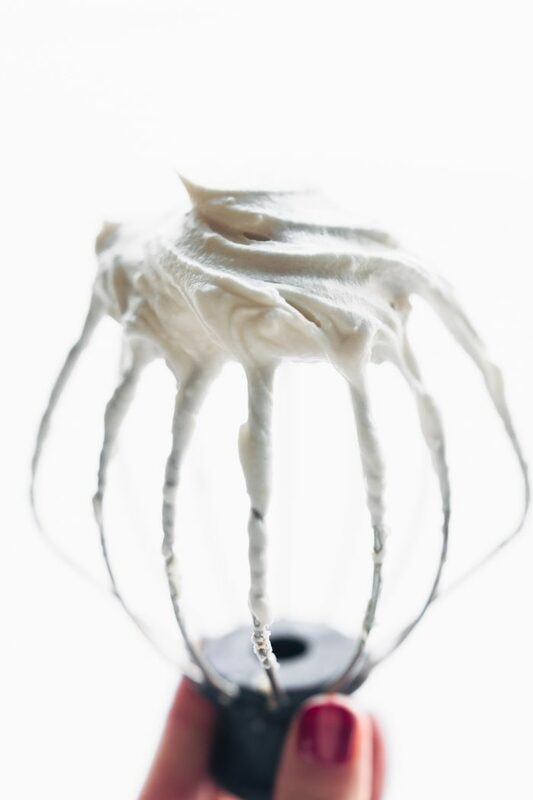 The coconut icing can get soft at warmer temps, so wait to serve that last if you can. Keep me posted! Bring your cupcakes over and let’s party! OMG so good in that coffee! I’m all about icing made from coconut cream and, well honestly, I’m just all about CAKE to celebrate Friday and the weekend. TGIF, friend! Will you bring your GORGEOUS blood orange cake over and we can have a cake party? 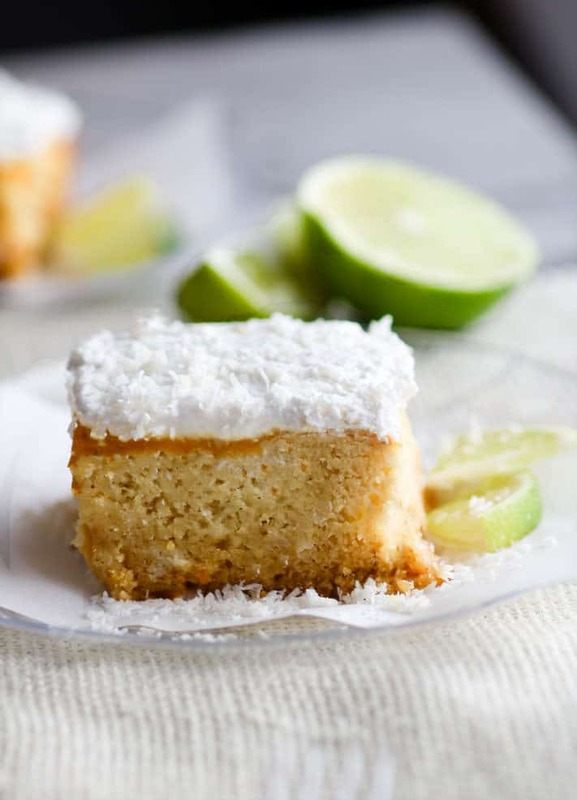 Nothing says WEEKEND like a hunk of deeelish lemon lime coconut cake. UGH this looks marvelous! I’m so on top of that coconut whip like whoa. Just gorgeous, m’dear! I literally added the kaluha for you!! I almost did! it’s dangerous. LOL! This cake sounds absolutely perfect for summer parties! I can’t wait to try it out. The flavors sound so fresh, I know it will be a crowd pleaser. I am gluten, dairy, egg, nut and grain free as well. Is there a substitute to the gluten free flour that I can use? Coconut flour, cassava, etc? Thanks!! Have you seen my other cake like this? It’s it might be better to use. I tried cassava and it worked but very dense. So not sure if that’s what you want. Oh man this looks so good. I ate such crap this weekend though I think I need to go eat a sweet potato now. haha i feel ya. Save this for another day. or party! Is there any shame in the fact that I want this cake for breakfast? I don’t think so 😉 this looks absolutely phenomenal with the coconut frosting and fluffy yellow batter! I’d eat shoe leather topped with that coconut cream frosting!! Of course, this cake sounds a heck of a lot better! This cake is absolutely delightful! Thank you friend! <3 Love the science of baking, hehe. How absolutely gorgeous is this! And gluten-free too! I wanna eat this cake all day long! Just one question. Why is the cake brown? There doesn’t seem to be anything in it that would do that, such as yolks, brown sugar, etc. Is it the agave nectar? Just curious. No prob! It depends on the flour. Each kind reacts to heat differently depending on the GF grain. I’ve made this with gluten free pastry flour too and it’s more brown. I used a bit of cane sugar in this one so it’s more golden. Hope that helps! Gorgeous! Almost too pretty to eat. 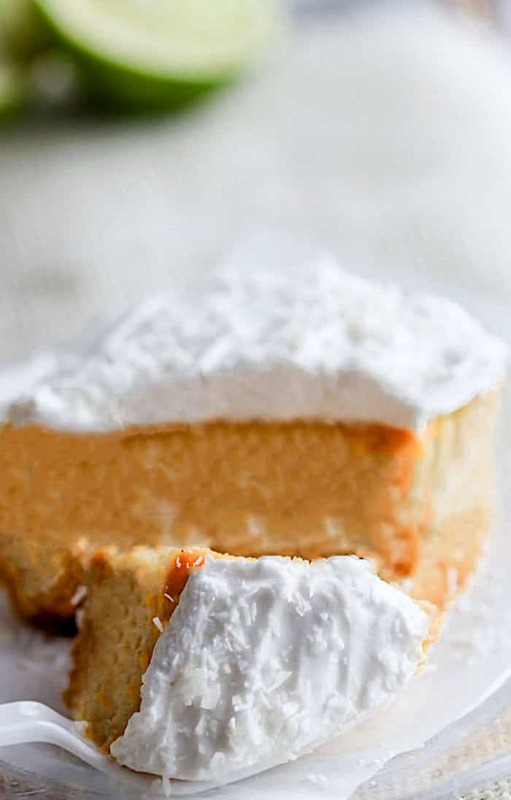 At this time of year, I am all about the coconut cake, so this recipe is right in time!! This looks like spring on a plate! 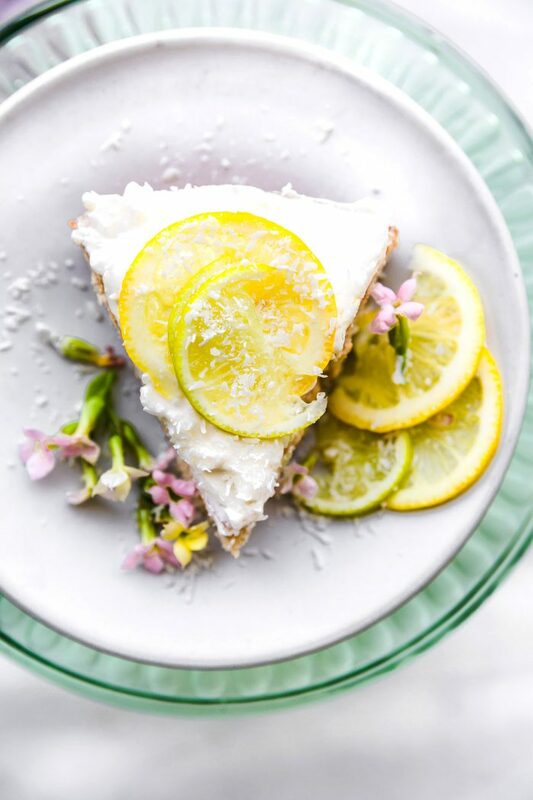 Coconut and citrus make for the perfect spring dessert! So pretty with the fresh citrus on top! 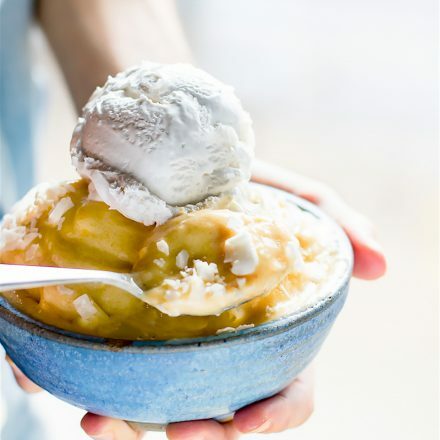 Until recently I was not a coconut fan, but now everytime I see a recipe with coconut in it I just have to try it. I will take one slice of cake please AND a picture of Lindsay in her hulu skirt. We have yet to have Spring arrive here. I’m dying! It better hurry up. Because until then, I’m gonna just keep stuffing my face with coconut-citrus goodness! This cake sounds so fav! Gorgeous! I’ll take two slices! You had me at coconut cream frosting! Would you transfer the Birds Nest Cake? 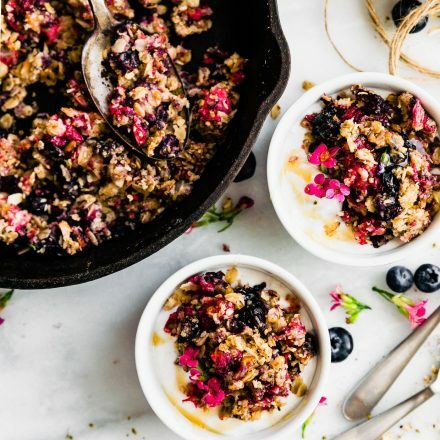 into a dairy free recipe? I think so! can you email me your recipe and I can help adjust it? Absolutely fantastic. My comment could have easily been just one word borrowed from comic books ..Slurp! Looks so good! I’m planning on making a version with plain flour, do you think that would come out okay? Should be! Just use a multipurpose flour. KEep me posted! Hi I made it according to the recipe but mine came out extremely bitter and inedible! Oh no! That’s strange. Which xylitol brand did you use? Did you use lemon or apple cider vinegar?